In The Way with Alan Watts is a film about the man who brought Eastern thought to the West. Please fund our film on Kickstarter.com! 515 backers pledged $57,028 to help bring this project to life. Doodle graphic by Jeff Bridges. Thanks Jeff! In The Way with Alan Watts is a film about the charismatic author and speaker that brought Eastern thought into popular culture in the Sixties. He challenged the Western worldview with innovative ways of looking at religion, psychology, and humankind’s place in nature. Through recently discovered interview footage from his mountain library near Muir Woods, this documentary is designed to reintroduce Alan Watts at the height of his career. In The Way also draws upon his autobiography (In My Own Way) as well as his son’s selections from a vast archive of film and audio recordings to recreate his life and explore his works. The film will follow his life journey from the early influences of nature, art, and Eastern philosophies, to some of the notable writers and artists who helped inform his approach. As a collaboration of several experimental and award-winning filmmakers, In The Way with Alan Watts promises to deliver an accessible and in-depth exploration of our psyches and our place in the world—with Alan’s wit and playful spirit as our guide. His recorded audio podcasts have been downloaded over five million times and his YouTube videos have had several million plays. Although Watts died over 35 years ago, he leaves us with thoughts that still speak powerfully today. We will deliver a preview release of the complete 1 hour film on DVD to contributors at the $50 level. Our hope in the next round of funding, we will treat the film for theatrical release at film festivals. Any excess funding of our goal will go to the film festival funding round for the project. This film is being produced through an educational nonprofit, and portions of all contributions are fully tax-deductible. The film traces Watts’ his life from London to New York, Chicago and finally to San Francisco as he made his way as an author, Episcopal priest, Dean, lecturer, and finally a reticent guru-like figure to the flower children of the 1960s. Along the way he became friends with Joseph Campbell, Jack Kerouac, Aldous Huxley, Jacques Cousteau, Arthur C. Clark, the avant-garde composer John Cage, Tom Smothers, and Van Morrison, among many other luminaries of the time. 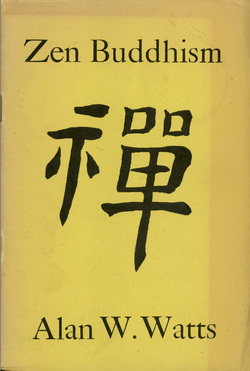 In 1953, he began his charismatic Sunday morning public radio shows, which have now been broadcast nationally for over fifty years, and in 1957 he published his pivotal work, The Way of Zen, followed by Beat Zen, Square Zen, and Zen. By 1960, Watts had appeared in two seasons of his own public television series “Eastern Wisdom and Modern Life.” Today he is perhaps best known for his many books, and for his leading role in the counter culture movement. By any account he lived a colorful life, traveled the world, and between the age of 20 and 48 was married three times, divorced twice, and had seven children. He died in 1973 at the age of 58, leaving behind an archive of recorded works spanning three decades. We currently have 80% of the raw materials needed to make this film, along with filmmakers who are contributing their time to this project. - Licensing/rights for newly discovered footage of Alan Watts, $8,000, and In My Own Way autobiography story rights, $6,000. - Photo and 16MM film rights (6 minutes, Japan, 1965) $8,000. April 2011- July 2011 – Production: Making of the film with August for mastering and deliverable first cut DVDs ready by September 1st, 2011. Mark Watts (producer, writer, and media curator): Son of Alan Watts, Mark is providing media compilations from his father’s archives. Michael Garcia (director and editor); Former creative executive at HBO, will be chief editor. Matt Wood (sound design and effects): Oscar-nominated Sound Designer (Wall-E, There Will Be Blood), will be a contributing editor. Bruce Walters (effects and photo restoration): British Academy Award (BAFTA) winner for "The Witches of Eastwick," and pioneer in digital matte painting. Eddie Rosas (animation and storyboards): Traditional character animator (The Iron Giant, Futurama, The Simpsons), will assist with animation. Chris Britt (executive producer, researcher, writer): An Emmy-nominated co-producer and director, Chris has relocated from Boston to San Francisco to coordinate this project. To pledge to a project, just click the green “Back This Project” button on this page. You will be asked to input your pledge amount and select a reward. From there, you will go through the Amazon checkout process. Note that you must finish the Amazon checkout process for your pledge to be recorded. If we don’t reach our goal by the end of the fundraiser, you account will not be charged. Non-profit status- This film is being produced by Electronic Educational Programs Inc, an educational non-profit established in 1976 to further the works of Alan Watts. EEP had produced hundreds of public radio shows, the Alan Watts Podcast, and a series of animated shorts with the creative principals of SouthPark, which can be found on YouTube. Proceeds from the film will help to support and continue the dissemination of his works. If you would like your donation to be anonymous to those viewing this site--type in Anonymous when entering your name. Thank you! 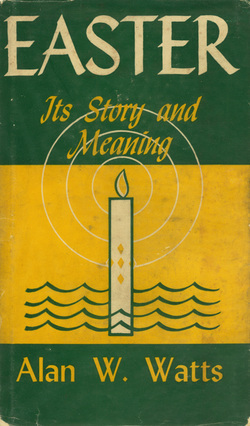 Easter, Its Story and Meaning, extremely rare First Edition illustrated in black and white, with the name and address of Alan Watts biographer David Stuart inside the cover. The Cover is in fair condition with wear along all edges, however the inside including all illustrations is in very good condition. For the price of a "cup of joe," we will continue to post exclusive footage and content while making the film, however this content will only be available to backers on our Kickstarter page, in fairness to those who give. Pitch-in! For the price of a "Cafe Americano" we will continue to post exclusive footage and content while making the film, however this content will only be available to backers on our Kickstarter page, in fairness to those who give. Pitch-in! For the price of a "Chai Latte" we will continue to post exclusive footage and content while making the film, however this content will only be available to backers on our Kickstarter page, in fairness to those who give. Pitch-in! For the price of a "Carmel Latte" we will continue to post exclusive footage and content while making the film, however this content will only be available to backers on our Kickstarter page, in fairness to those who give. Pitch-in! A digital download of the Essence of Alan Watts Limited Edition audio mix including our archival audio selections for the film. These materials will be edited during production, and so this is the only time the full mix will be available. (May delivery.) 50% of this donation is tax-deductible. including our archival audio selections for the film. These materials will be edited during production, and so this is the only time the full mix will be available. (May delivery.) 50% of this donation is tax-deductible. plus a copy of In The Way with Alan Watts, a Limited Edition First Cut DVD. The CD includes our archival audio selections for the film, and the first cut DVD will include the final archival and new media cuts. (May and September delivery.) 50% of this donation is tax-deductible. A Sponsor Credit on the official film website of one line with up to two names or an organization name, a CD copy of the Essence of Alan Watts Limited Edition CD audio mix, plus a copy of In The Way with Alan Watts, a Limited Edition First Cut DVD. The audio disc includes our archival audio selections for the film, and the first cut will include all final archival and new media cuts. (May and September delivery.) 75% of this donation is tax-deductible. Two CD copies of the Essence of Alan Watts Limited Edition CD audio mix, and two copies of In The Way with Alan Watts Limited Edition First Cut DVD, plus a Sponsor Credit on the official film website of one line with up to two names or an organization name. The audio disc includes our archival audio selections for the film, and the first cut will include all final archival and new media cuts. (May and September delivery.) 75% of this donation is tax-deductible. Alan Watts MP3 Collection on discs including 72 of Watts’ greatest talks on three discs, and a Sponsor Credit on the official film website of one line with up to two names or an organization name, plus a CD copy of the Essence of Alan Watts Limited Edition CD audio mix, and a copy of In The Way with Alan Watts, a Limited Edition First Cut DVD. The audio disc includes our archival audio selections for the film, and the first cut will include all final archival and media cuts. (May and September delivery.) 50% of this donation is tax-deductible. The Alan Watts Digital Library, including the MP3 Collection with 72 of Alan Watts’ greatest talks on eight discs, and two archival discs, one of photos and the other with high quality scans of manuscript notes and mystical papers, plus a Sponsor Credit on the official film website of one line with up to two names or an organization name, and two copies of In The Way with Alan Watts, a Limited Edition First Cut DVD, and two copies of the Essence of Alan Watts Limited Edition CD audio mix. (May and September delivery.) 50% of this donation is tax-deductible. 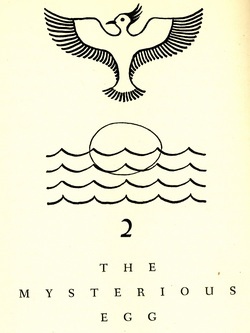 A Patron Credit in the film’s credits of one line with up to two names or an organization names, and the Alan Watts Digital Library, including the MP3 Collection with 72 of Alan Watts’ greatest talks on eight discs, plus two archival discs, one of photos, and the other with high quality scans of manuscript notes and mystical papers, and two copies of In The Way with Alan Watts, a Limited Edition First Cut DVD, and two copies of the Essence of Alan Watts Limited Edition CD audio mix. (May and September delivery.) 75% of this donation is tax-deductible. 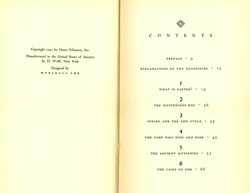 A Patron Credit in the film credits of one line with up to two names or an organization name, and the Alan Watts Audio Collection including 72 CDs of Alan Watts greatest talks, and two Digital Library discs, one of photos, and the other with high quality scans of manuscript notes and mystical papers, plus two copies of In The Way with Alan Watts, a Limited Edition First Cut DVD, and two copies of the Essence of Alan Watts Limited Edition CD audio mix. (May and September delivery.) 75% of this donation is tax-deductible. 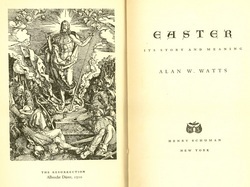 Easter, Its Story and Meaning, extremely rare First Edition illustrated in black and white, with the name and address of Alan Watts biographer David Stuart inside the cover. The Cover is in fair condition with wear along all edges, however the inside including all illustrations is in very good condition. Also, A Patron Credit in the film credits of one line with up to two names or an organization name, and the Alan Watts Audio Collection including 72 CDs of Alan Watts greatest talks, and two Digital Library discs, one of photos, and the other with high quality scans of manuscript notes and mystical papers, plus two copies of In The Way with Alan Watts, a Limited Edition First Cut DVD, and two copies of the Essence of Alan Watts Limited Edition CD audio mix. (May and September delivery.) 75% of this donation is tax-deductible. A Patron Credit in the film credits of one line with up to two names or an organization name, and two Alan Watts Audio Collections including 72 CDs of Alan Watts greatest talks, and two copies each of the Digital Library discs, one of photos, and the other with high quality scans of manuscript notes and psychedelic papers, plus two copies of In The Way with Alan Watts, a Limited Edition First Cut DVD, and two copies of the Essence of Alan Watts Limited Edition CD audio mix. (May and September delivery.) 75% of this donation is tax-deductible. 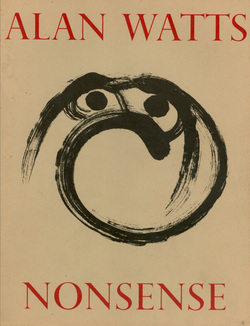 Three First Edition pamphlets by Alan Watts: Zen Buddhism, A New Outline and Introduction, The Buddhist Society, London, 1947; Way of Liberation in Zen Buddhism, Asian Study Monograph Number One, Academy of Asian Studies, San Francisco, 1955: Nonsense, Stolen Paper Editions, San Francisco,1967. A Patron Credit in the film credits of one line with up to two names or an organization name, and two Alan Watts Audio Collections including 72 CDs of Alan Watts greatest talks, and two copies each of the Digital Library discs, one of photos, and the other with high quality scans of manuscript notes and psychedelic papers, plus two copies of In The Way with Alan Watts, a Limited Edition First Cut DVD, and two copies of the Essence of Alan Watts Limited Edition CD audio mix. (May and September delivery.) 75% of this donation is tax-deductible. Alan Watts Original Manuscript of his article The Future of Ecstasy, a one-of-a kind seven page typescript, a Patron Credit in the film credits of one line with up to two names or an organization name, and two Alan Watts Audio Collections including 72 CDs of Alan Watts greatest talks, and two copies each of the Digital Library discs, one of photos, and the other with high quality scans of manuscript notes and psychedelic papers, plus two copies of In The Way with Alan Watts, a Limited Edition First Cut DVD, and two copies of the Essence of Alan Watts Limited Edition CD audio mix. (May and September delivery.) 75% of this donation is tax-deductible. 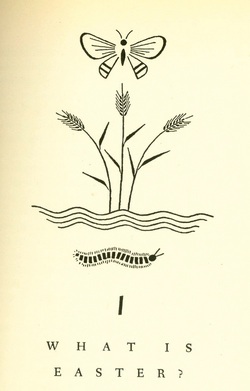 Alan Watts Original Manuscript of his book Does It Matter? including a one-of-a kind 30 page typescript, sixty pages of article copies, some hand corrected by Alan, including “The Buddhism of Aldous Huxley”, a Film Patron Credit in the film credits of one line with up to two names or an organization name, and two Alan Watts Audio Collections including 72 CDs of Alan Watts greatest talks, and two copies each of the Digital Library discs, one of photos, and the other with high quality scans of manuscript notes and psychedelic papers, plus two copies of In The Way with Alan Watts, a Limited Edition First Cut DVD, and two copies of the Essence of Alan Watts Limited Edition CD audio mix. (May and September delivery.) 75% of this donation is tax-deductible. 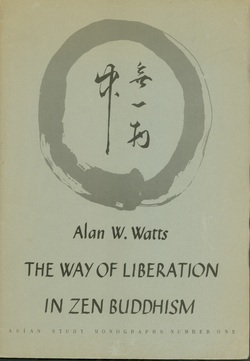 Alan Watts’ personal signed copy of his first booklet, Outline of Zen Buddhism, inscribed by the author with a Taoist poem and bearing several personal library collection stamps; a Film Patron Credit in the film credits of one line with up to two names or an organization name, and two Alan Watts Audio Collections including 72 CDs of Alan Watts greatest talks, and two copies each of the Digital Library discs, one of photos, and the other with high quality scans of manuscript notes and psychedelic papers, plus two copies of In The Way with Alan Watts, a Limited Edition First Cut DVD, and two copies of the Essence of Alan Watts Limited Edition CD audio mix. (May and September delivery.) 75% of this donation is tax-deductible. Note on condition: Although the outside cover is well-loved, the inside with signatures, stamps, seals and poem is in good condition. 22 5/8" x 15 3/4" in gouache, purchased by Alan Watts in 1968 at the Willard Gallery in New York. It is now in the Collection of Mark Watts, Alan's son. 50% of this donation is tax-deductible. This reward includes this print, PLUS everything else in the prior $10,000 offering EXCEPT the books. See http://www.preview-art.com/previews/00-06/9.LeoKenney.html and http://www.historylink.org/index.cfm?DisplayPage=output.cfm&File_Id=5350 "A Changed Seattle."